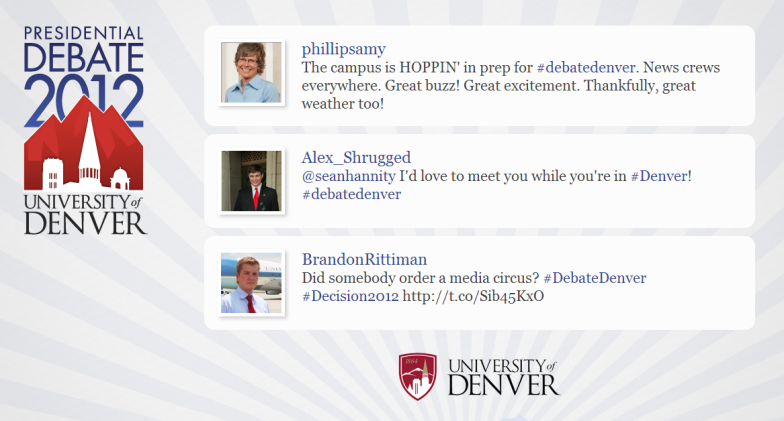 The University of Denver has chosen to display a Wall of Tweets in the auditorium of the October 3 Presidential Debate. The excitement around the US Presidential Debate tonight is reaching fever pitch. So much is at stake, so much is being fought for in the world’s largest economy before these presidential elections. The result on 6 November affects us all, not just the 300-plus million people living in the United States. Tonight, on 3 October, President Barack Obama and Governor Mitt Romney open their three-stop tour of the nation in the closely-fought tossup state of Colorado. There, they’ll face off on the domestic issues facing Americans today. And to say there’s a buzz about it would be an understatement. Commentators are evidently hoping the gloves will be off and no punches pulled judging from their theme of the Rumble in the Jungle. And Twitter, on slow burn for a few days already, is setting alight as America wakes up and heads to work. What about all the folks outside, without a ticket? Never fear! The power of the Internet is here. And, of course, social media. There will be extensive live stream coverage, enabling people all over the world to watch the drama unfold on the stage. Try the official elections site, the New York Times and NYT mobile apps, or the Wall Street Journal’s live coverage. What makes this even better is that for the first time ever (as far as we are aware), you and I – in fact anyone anywhere – will be able to share our thoughts with the audience. Yes, you guessed it, our Wall of Tweets is proudly taking a part in this debate. Screens will be set up showing selected tweets (we expect thousands, so they’ll have to be filtered) to the people gathered at the campus. We’re so proud to be a part of making this happen – bringing information to the whole world, and making democracy a two-way conversation. 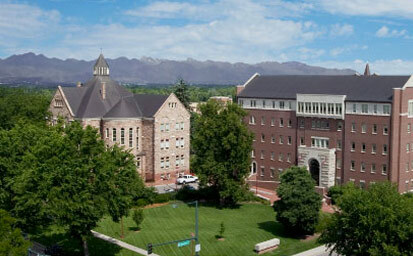 Best of luck to the University of Denver team – it’s been a pleasure working with you, you deserve to enjoy every moment.